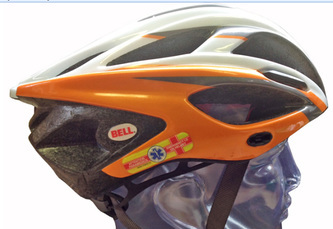 Rider ID Helmet Tag is a perfect ID solution for cyclists - in fact anyone who wears a helmet. 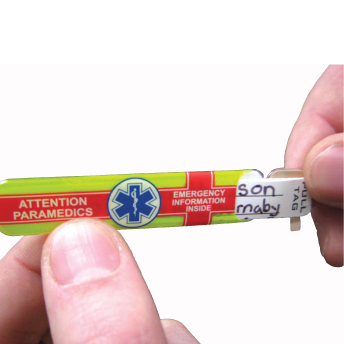 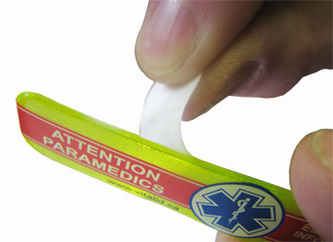 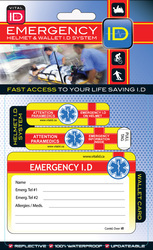 Emergency ID & contact details for next of kin, plus medications and allergy information is stored on a protected card in a highly visible reflective sleeve. 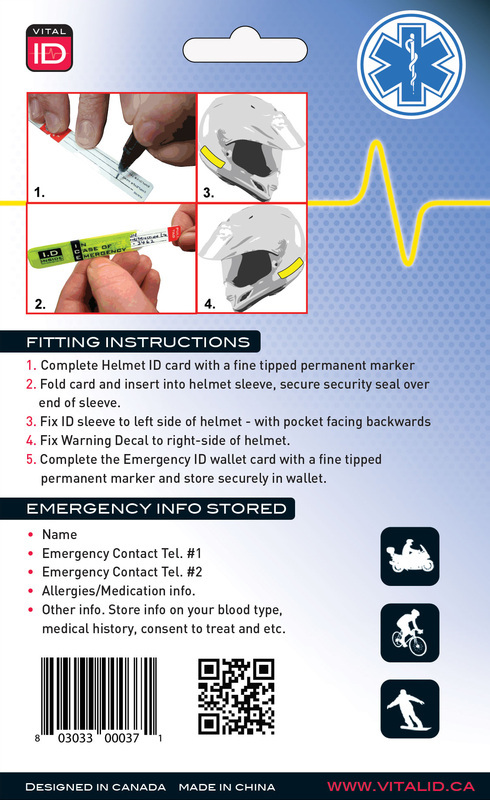 Rider ID Helmet Tag is a simple system that could save your life by providing emergency services with vital ID, medical details and a record of contacts to call should you be involved in an accident. 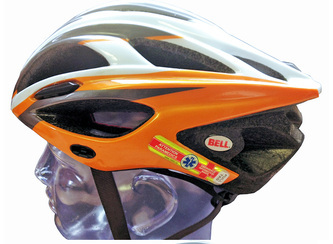 100% WATERPROOF: Impervious to the wind & rain. 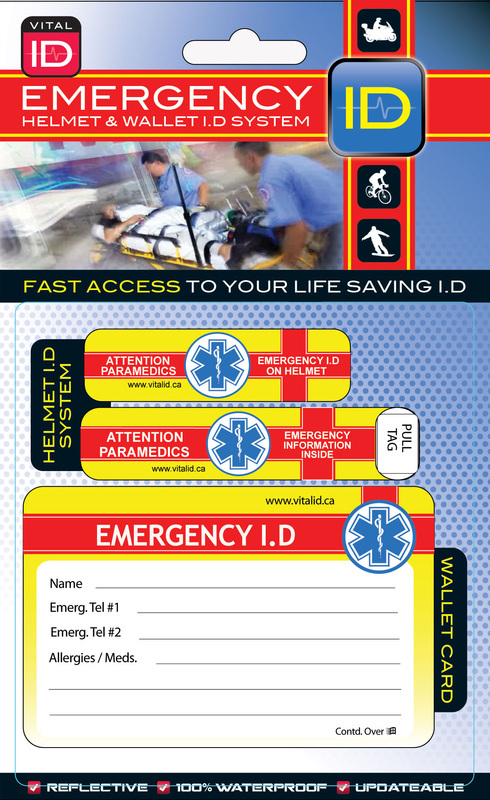 Wallet Card ID - Your Rider ID Helmet tag also comes complete with a durable “wallet card” which also stores a note of your emergency information as a secondary back up to the helmet ID. This wallet card also serves it’s emergency purpose when your “off the bike” as it’s always safely stored in your wallet.